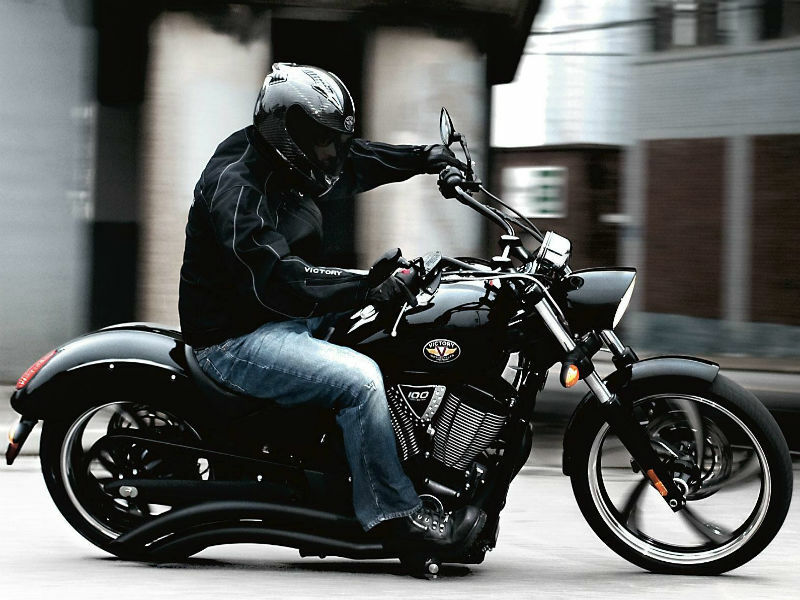 Victory Hammer 8-ball is ready with its modified look to attract the large crowd. 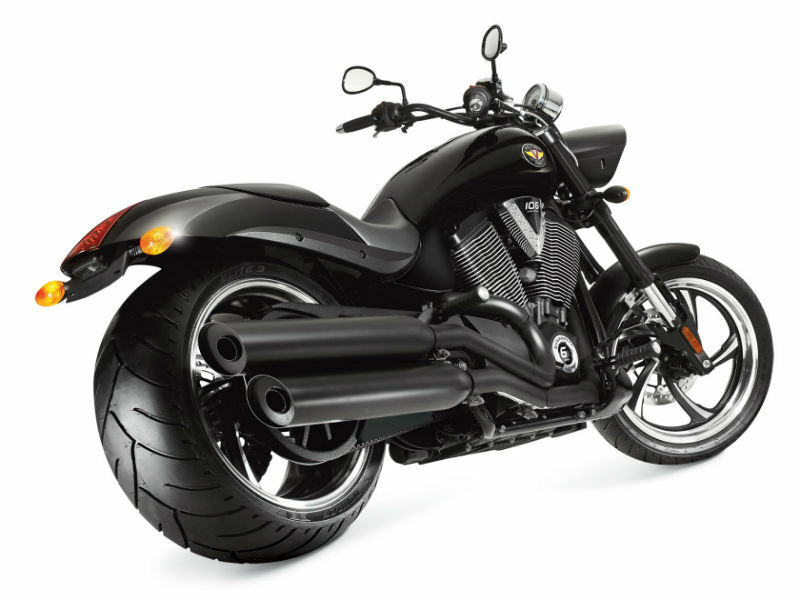 The body of the motorcycle is aesthetically designed to satisfy the growing demand of people. The broader and trendy appearance of the bike comes with more comfort and sophistication so that the drive will be more pleasurable. Along with the fancy looks the motorbike is also known for its advanced technological which increases the efficiency. The motorbike comes with potent 4-stroke 50° V-Twin Freedom engine which provides the powerful performance on road. The maximum power obtained from this motor is about 97 Bhp and the highest torque achieved is 153 Nm. Power so generated reaches the wheels through 6 speed overdrive transmission which ensures each shift of gears is smooth. The very gaze at the bike makes everyone fall in love with its fat body has it adds an all new appeal to every rider. The neatly shaped fuel tank, bigger wheels, comfortable seat, trendy headlamp and rightly placed handle bars not only adds style but promise to give the comfort for rider. The best and unique part about this stunning vehicle is that it's customized look which can be decided by the customer as per their taste. Riding an all new Hammer 8-Ball is an amazing experience and for this thanks its advanced technology. The 250 mm broader rear wheel of the vehicle is a major plus point has it provides better road grip and smooth handling. The suspension of the motorcycle including the front Inverted cartridge telescopic fork and rear Single, mono-tube gas guarantee problem free ride on any roads. 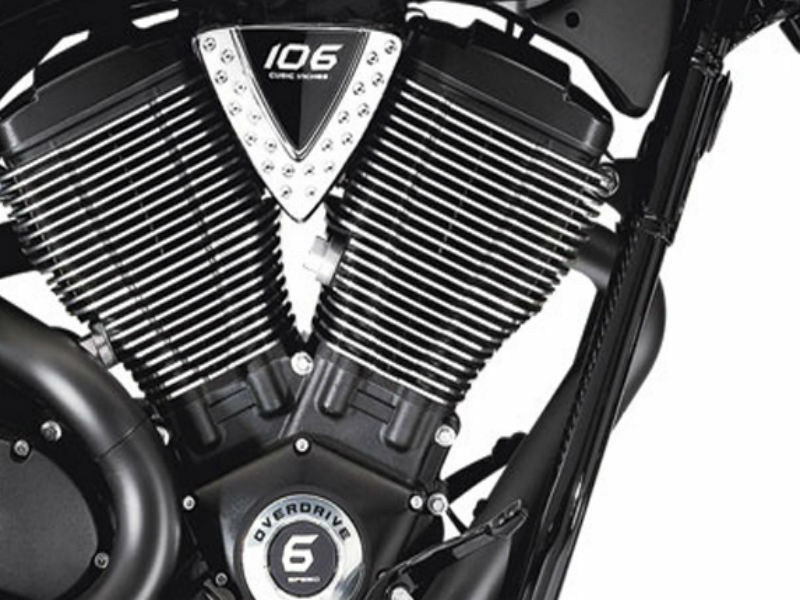 Victory Hammer 8-Ball is said to give a descent mileage but exact figures yet to be known. The much awaited bike is expected to be available for the ex-showroom price of about Rs. 15,00,000 and not much information is given about the colors.